It's the latest sign that cheap steel from China is crushing foreign competitors. 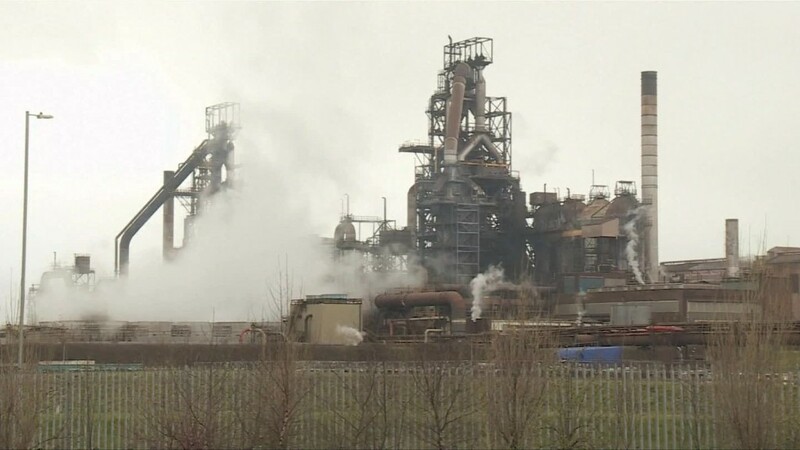 India's Tata Steel said Wednesday that it's been forced to explore a sale of its U.K. operations due to plummeting prices. Market conditions in the U.K. and Europe have "rapidly deteriorated" in recent months, Tata said, due to oversupply of steel, high manufacturing costs and a "significant increase in third country exports." 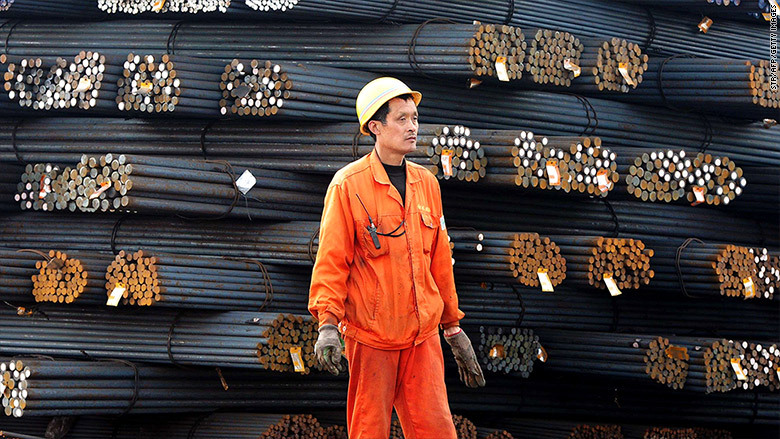 China produces half of the world's steel, more than the United States, the European Union, Russia and Japan combined. But as the country's massive economy slows, internal demand for steel is dropping. Beijing now stands accused of dumping its unwanted metal on other markets, forcing rivals to close their plants and put thousands of people out of work. European officials say as many as 40,000 steel jobs have been lost in recent years. China produces half of the world's steel. In January, the European Union announced that it would impose new tariffs of up to 13% on Chinese steel imports. But some producers say the new tariffs are too little too late, and puny when compared with measures taken by the U.S.
Tata had previously asked the European Commission "to accelerate its response to unfairly traded imports" and "increase the robustness of its actions." In January, the company slashed 1,050 jobs in the U.K.
On Wednesday, union leaders expressed relief that Tata had not elected to shutter its plants outright. "Our worst fear that Tata would announce plant closures today has not been realized," said Roy Rickhuss of the steelworkers' trade union, Community. "This is testament to the skills, experience and passion of U.K. steelworkers."